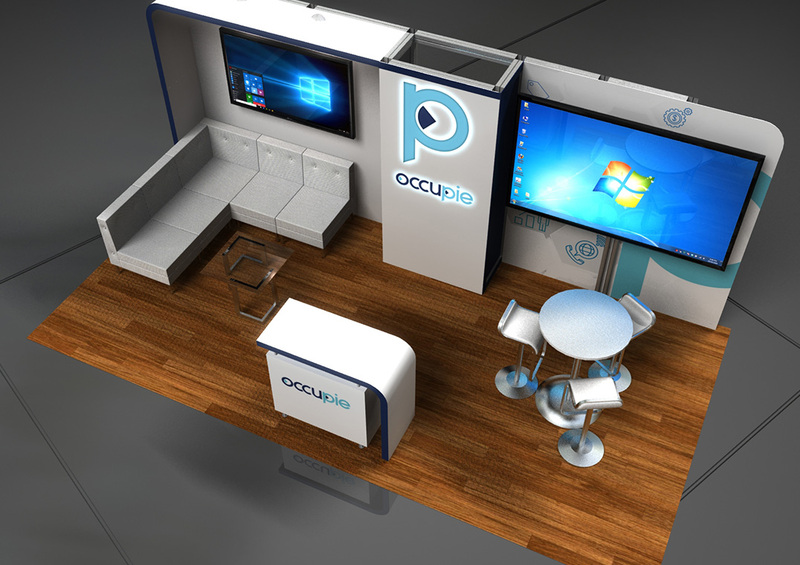 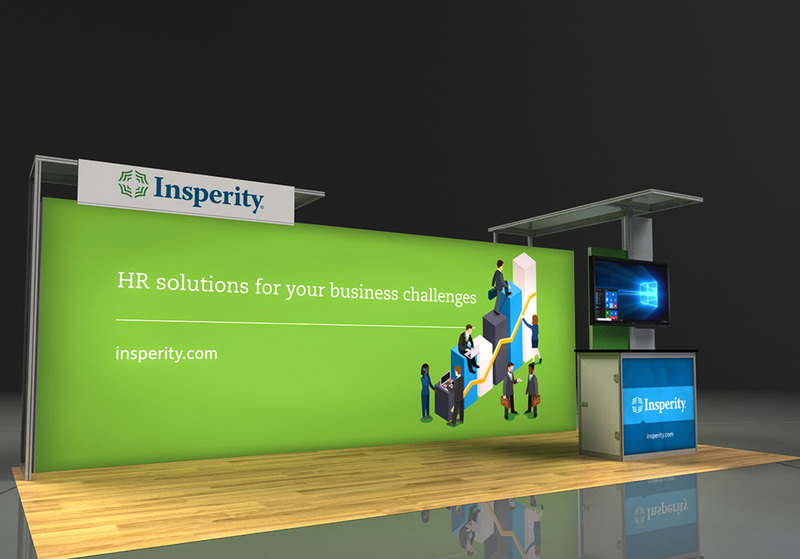 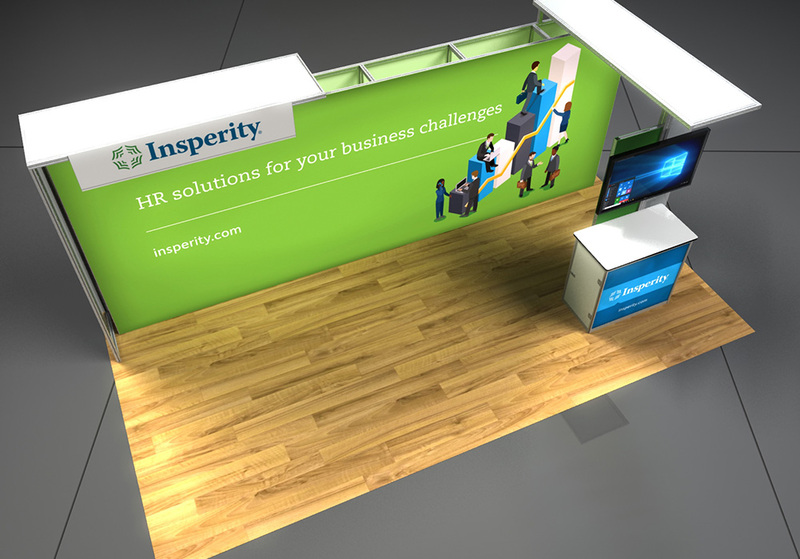 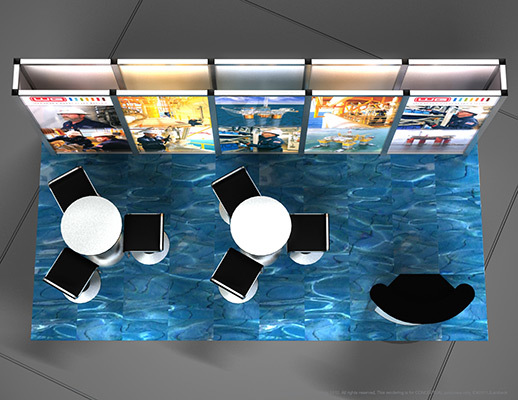 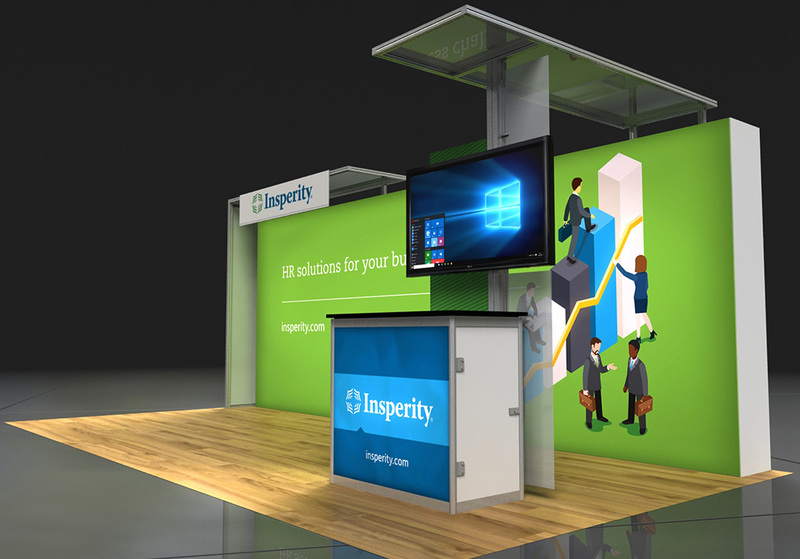 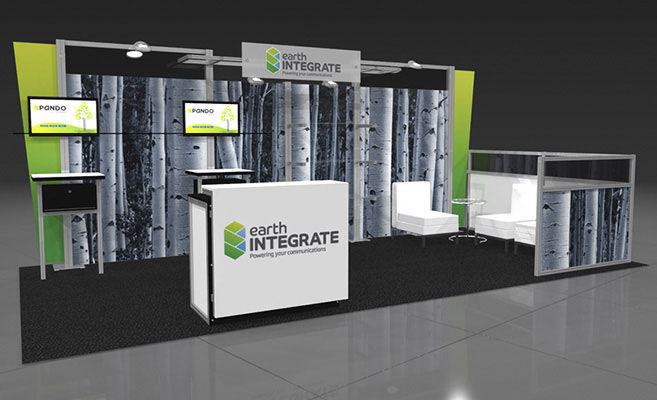 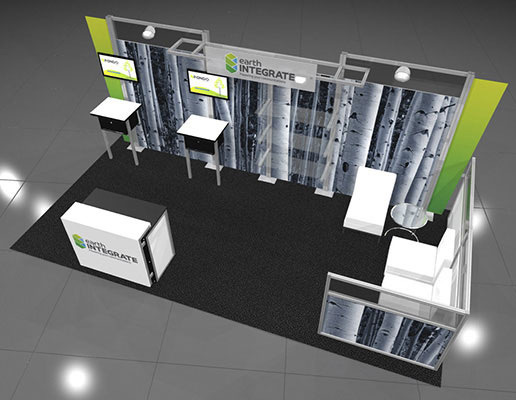 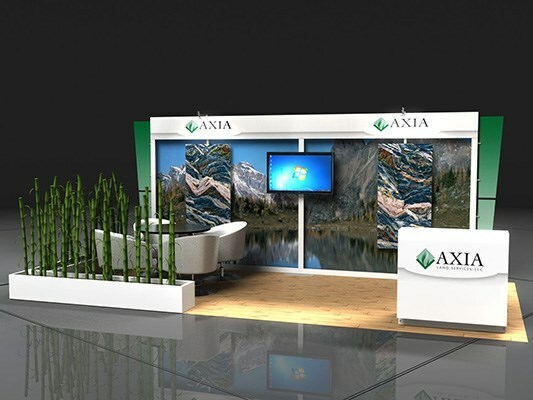 Clean, modern and simple graphic back wall with a video wall centered in the middle. 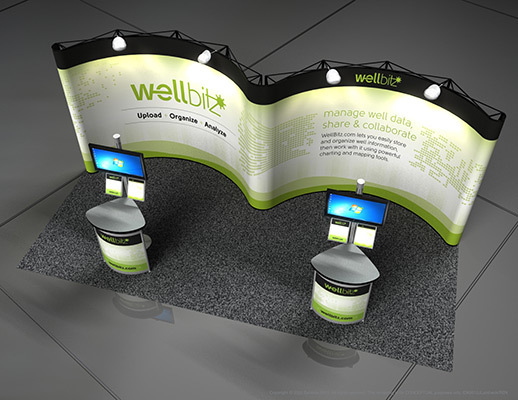 Draws attention with it's simplicity. 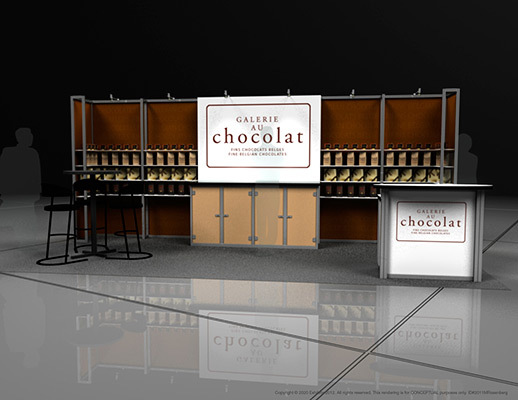 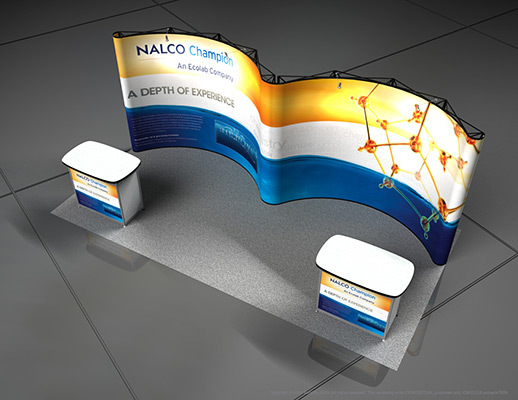 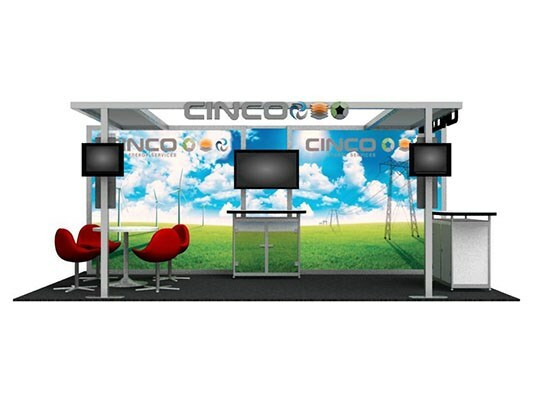 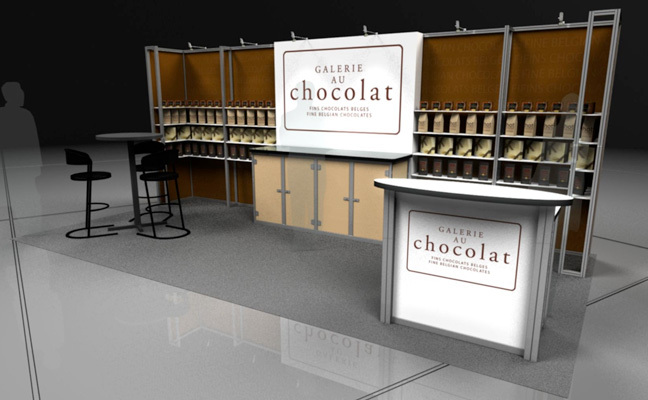 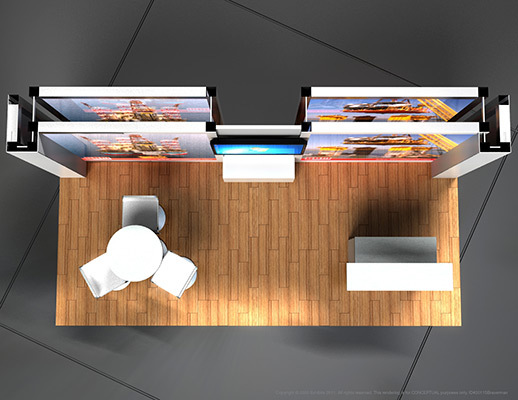 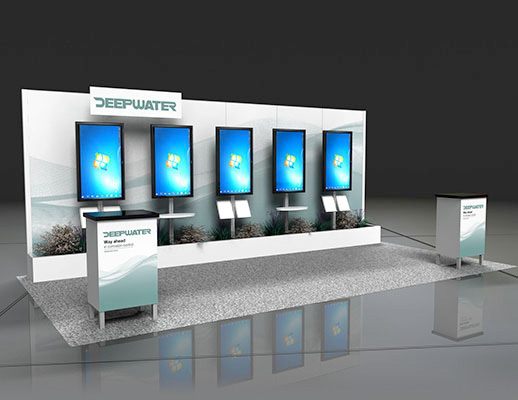 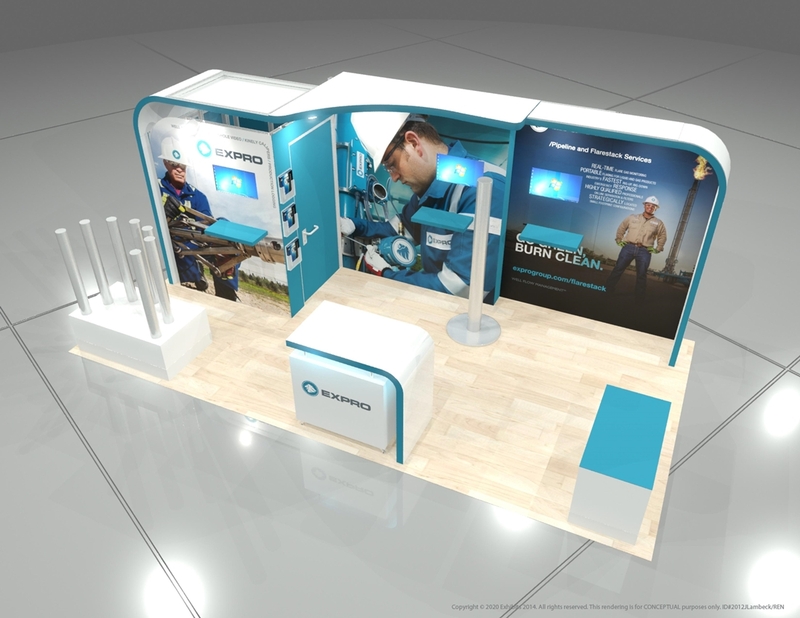 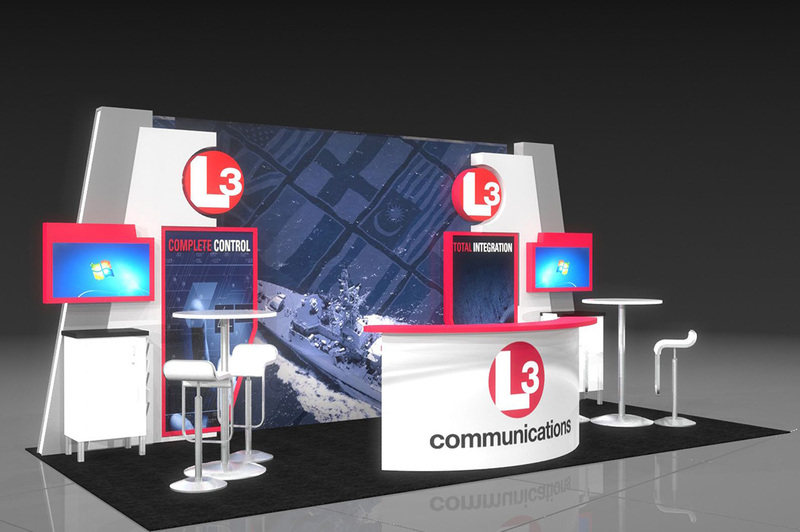 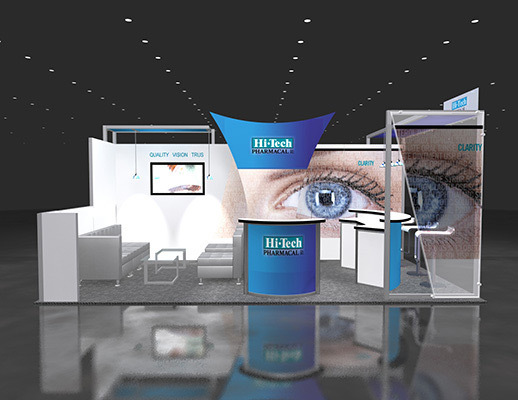 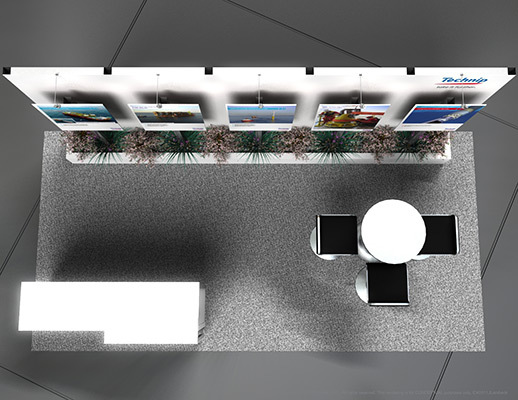 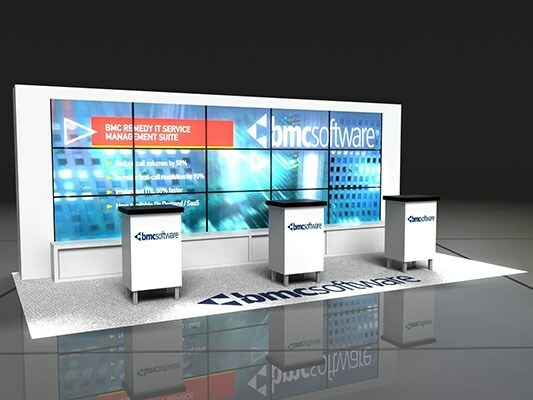 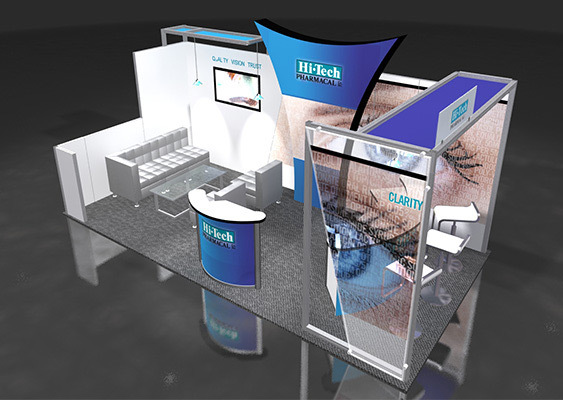 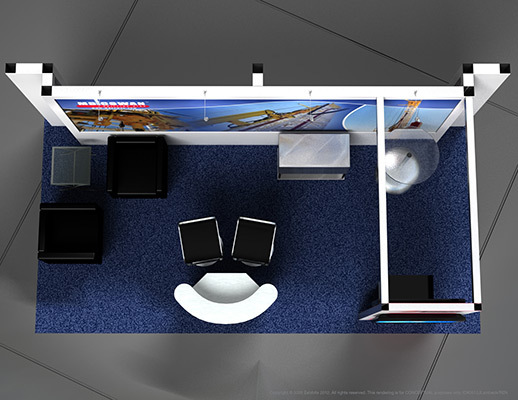 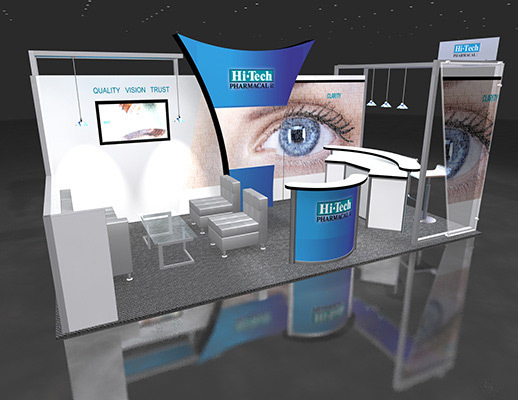 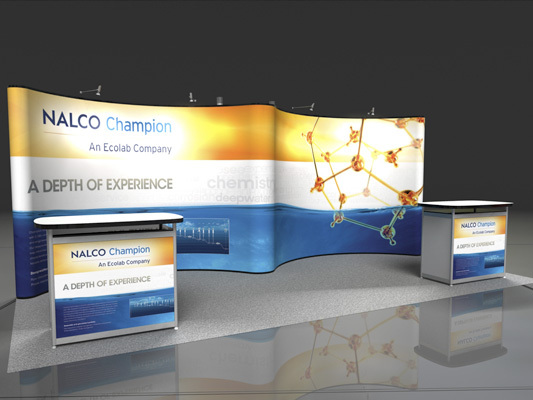 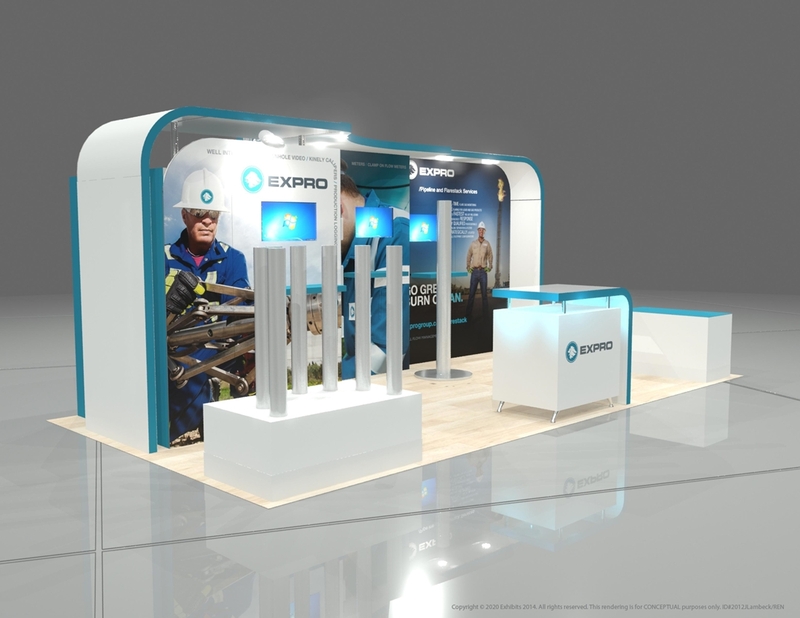 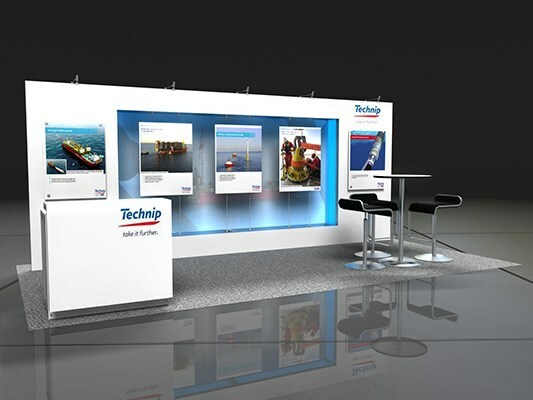 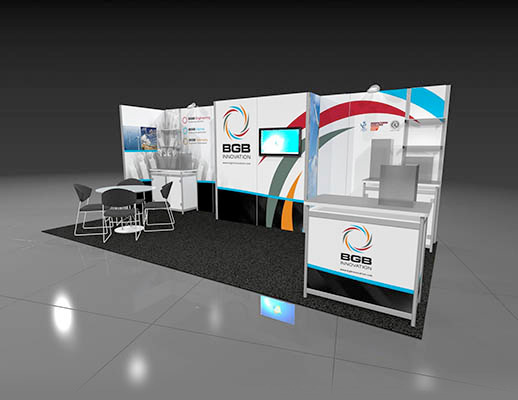 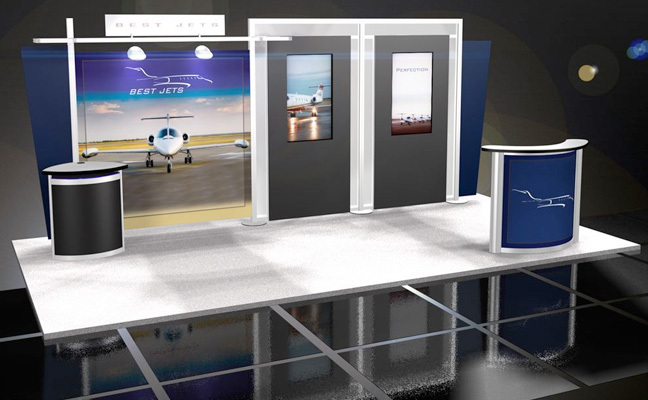 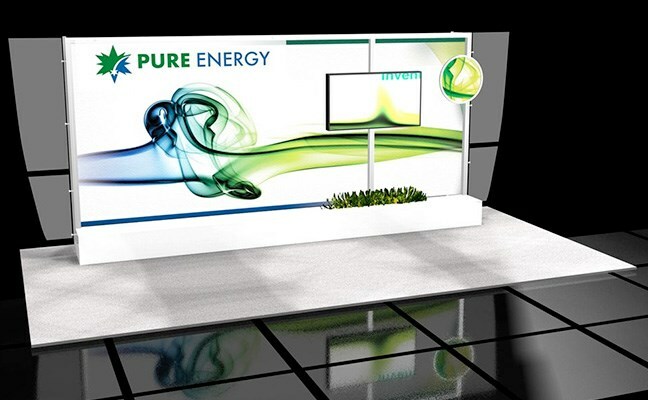 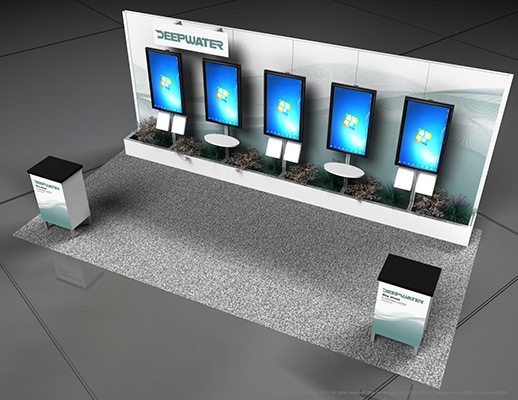 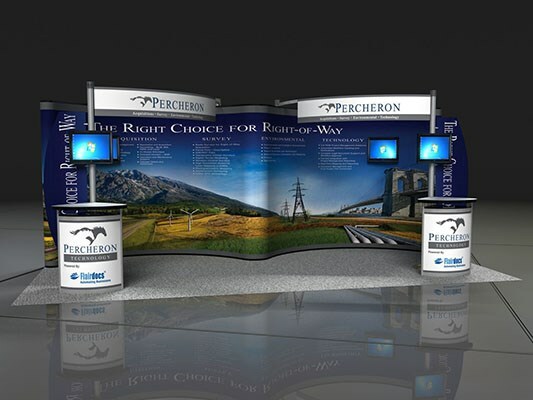 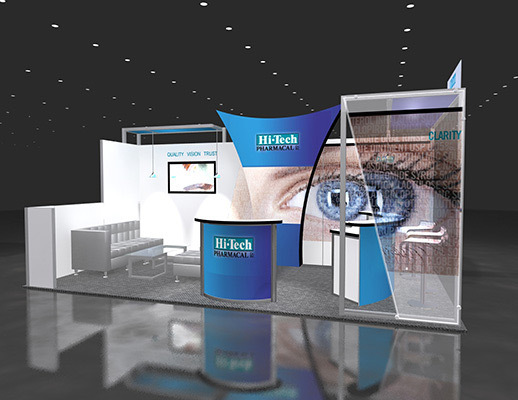 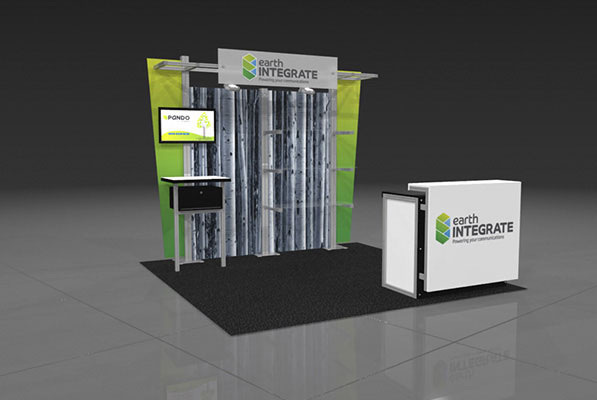 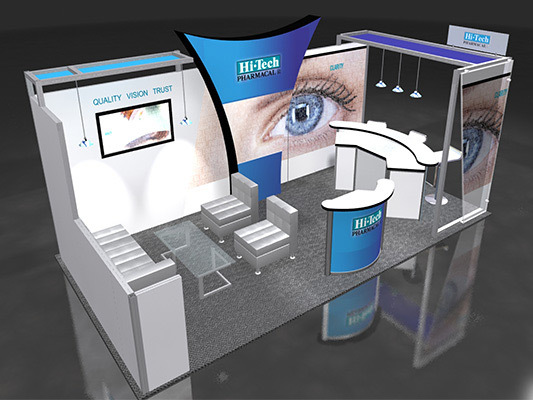 The basic layout allows for either a showcase from a presenter, or as a standalone for attendees to view the video wall on their own. 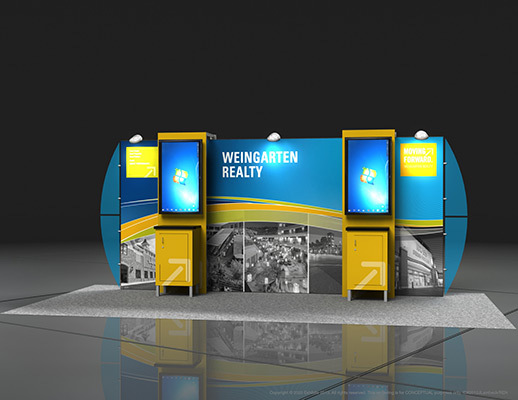 Strong color scheme is appealing to the eye. 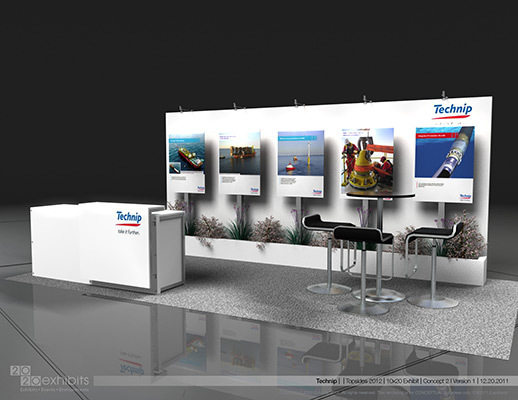 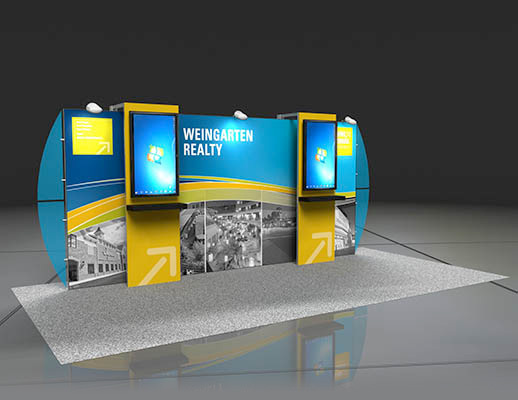 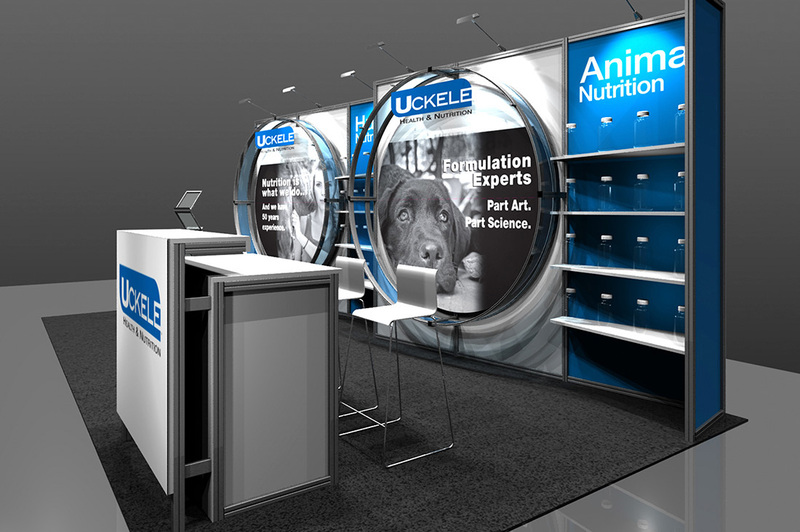 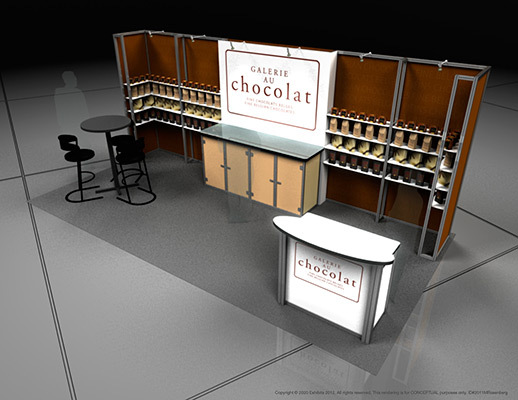 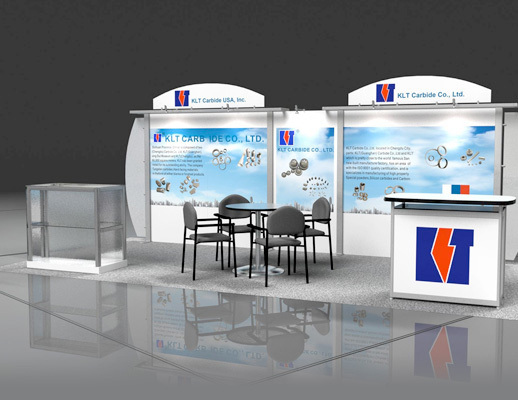 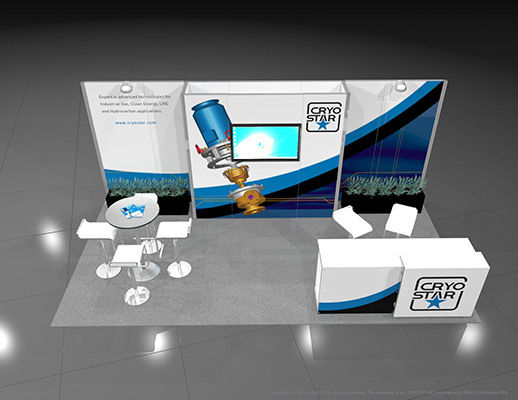 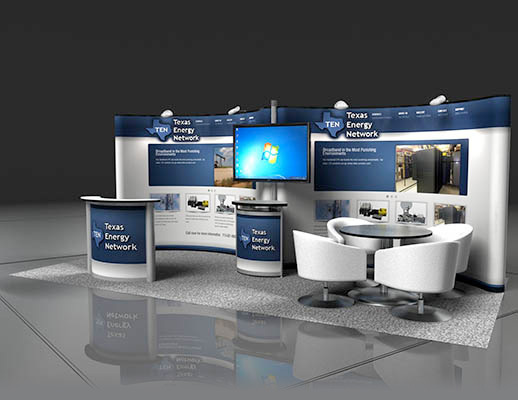 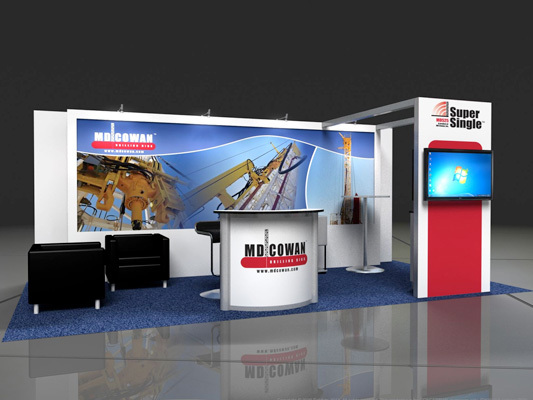 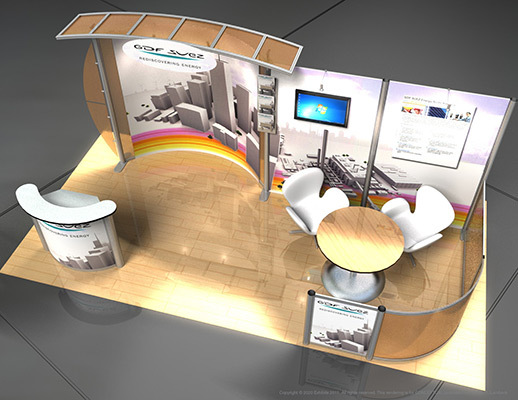 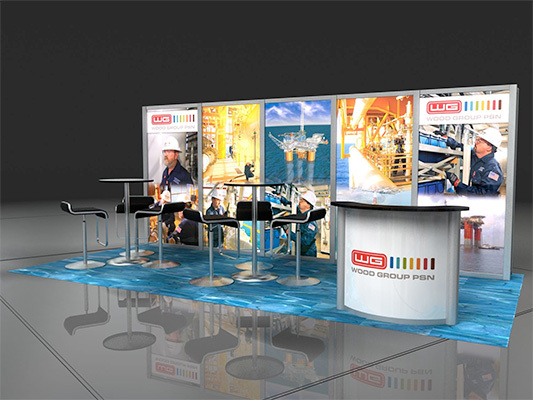 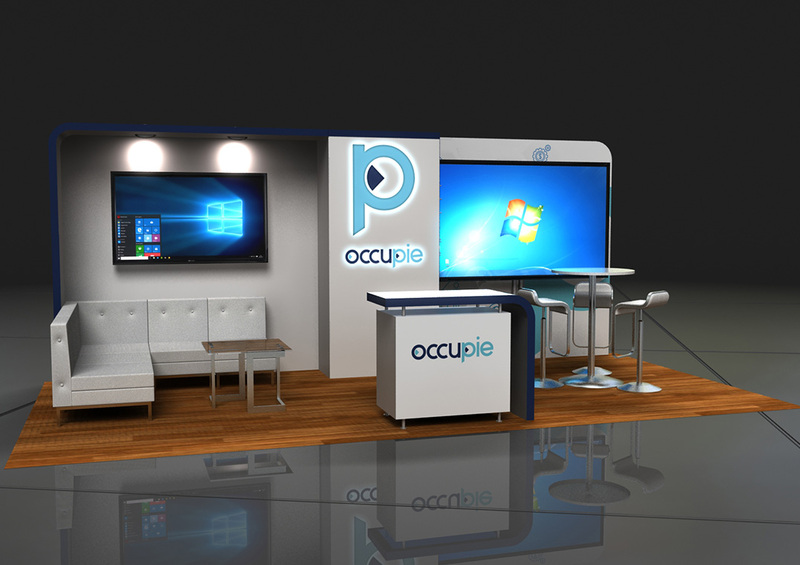 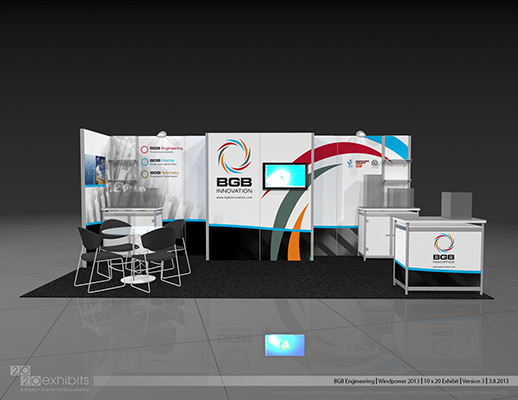 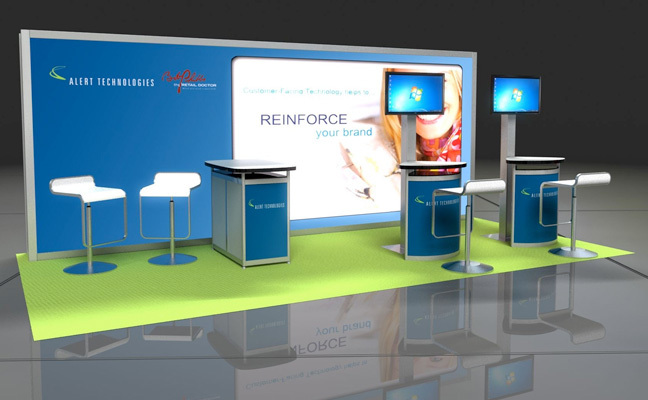 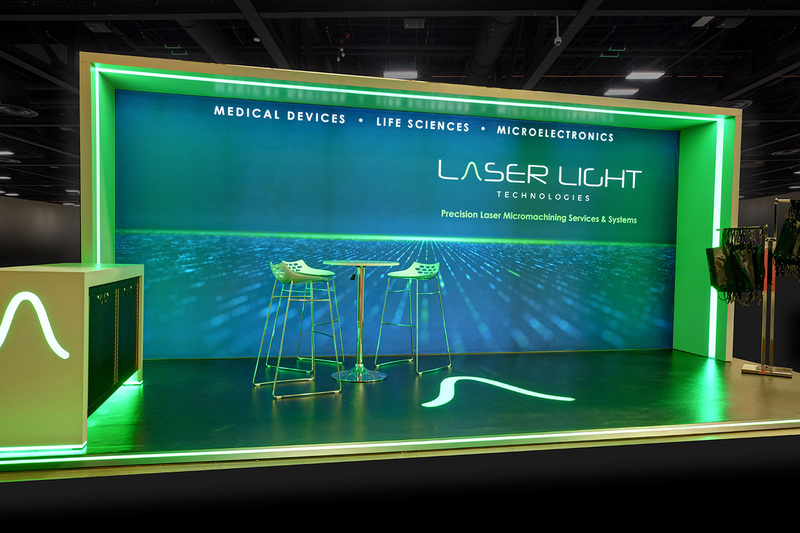 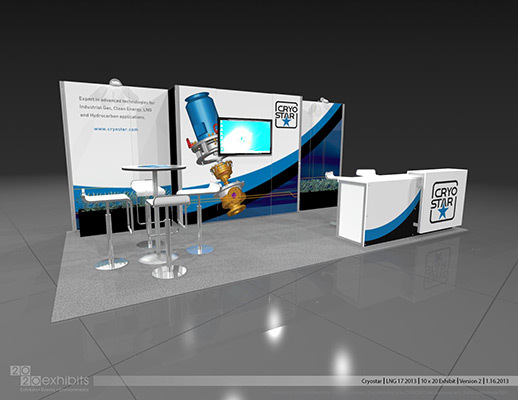 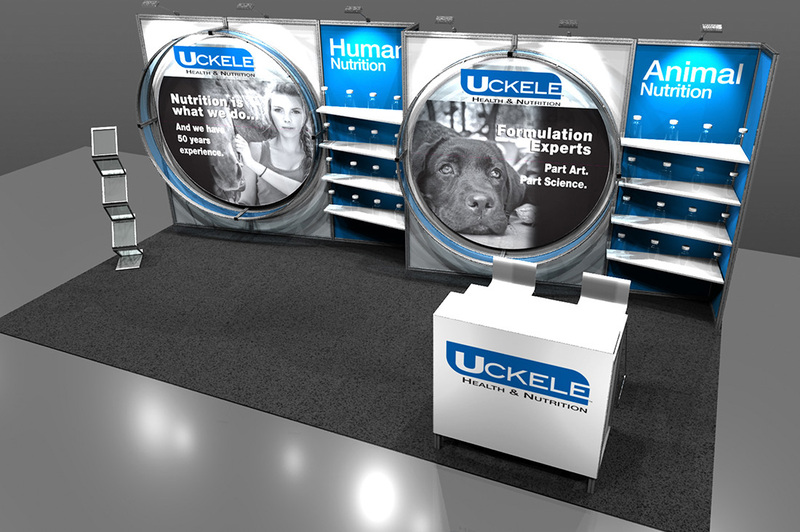 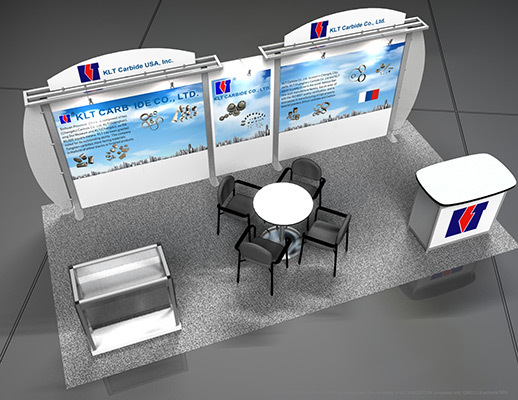 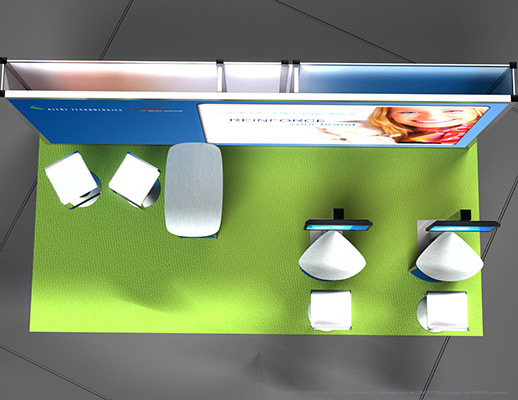 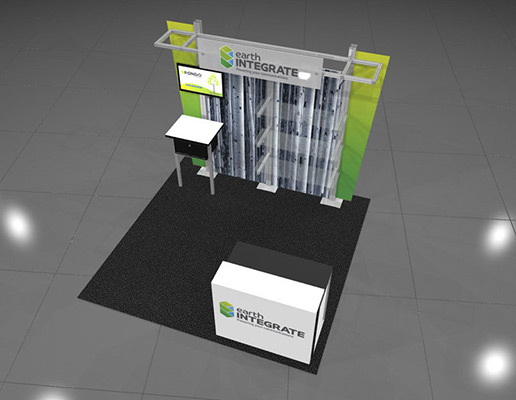 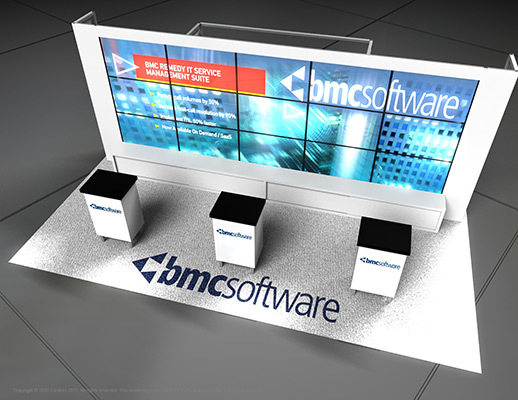 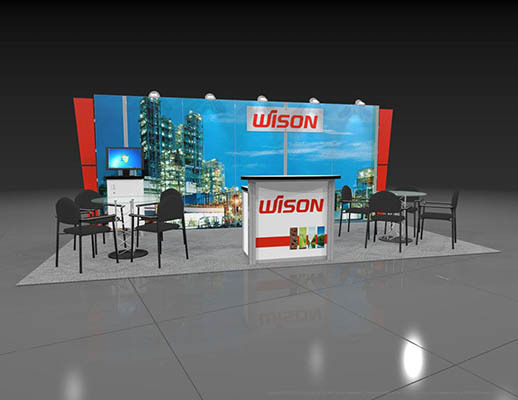 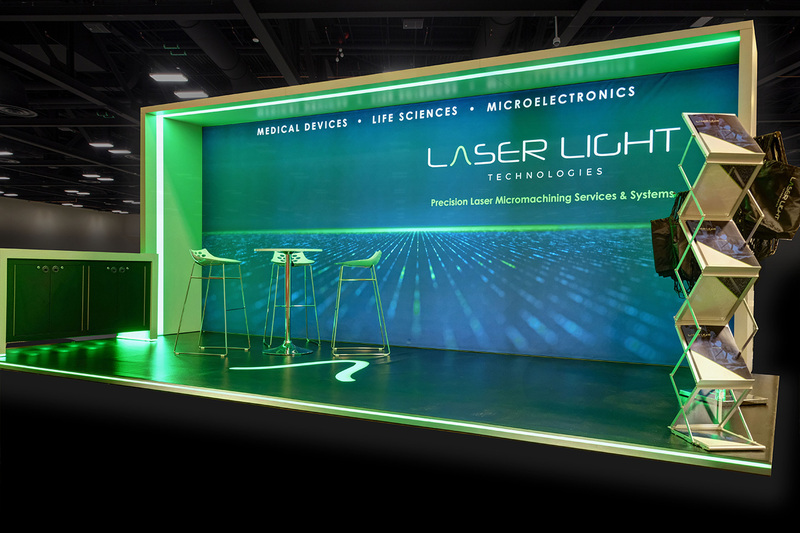 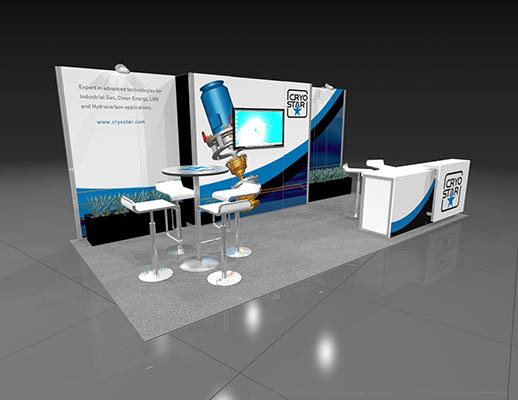 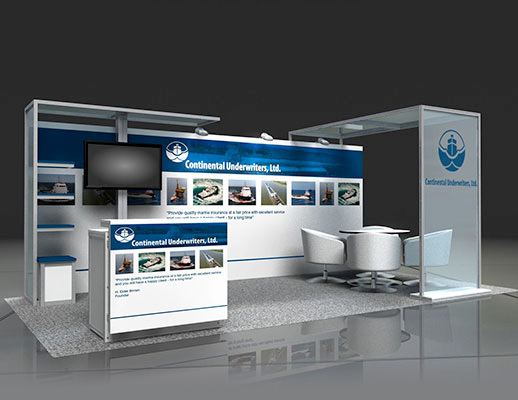 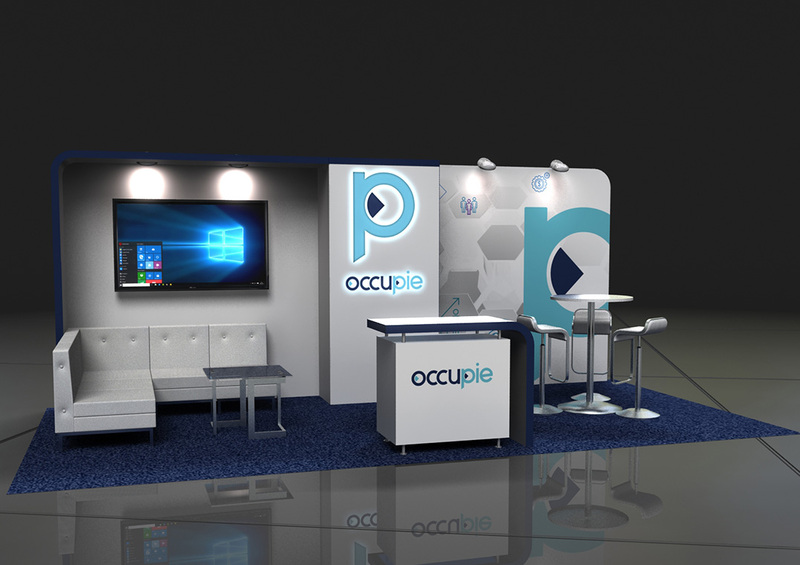 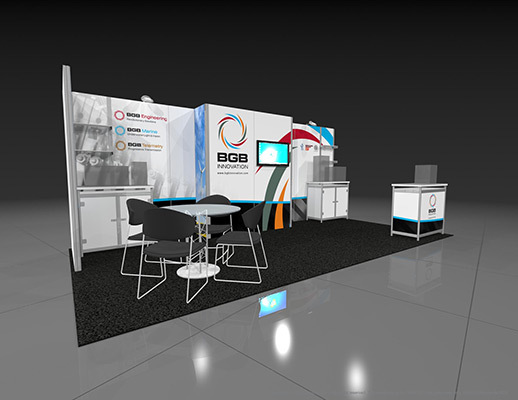 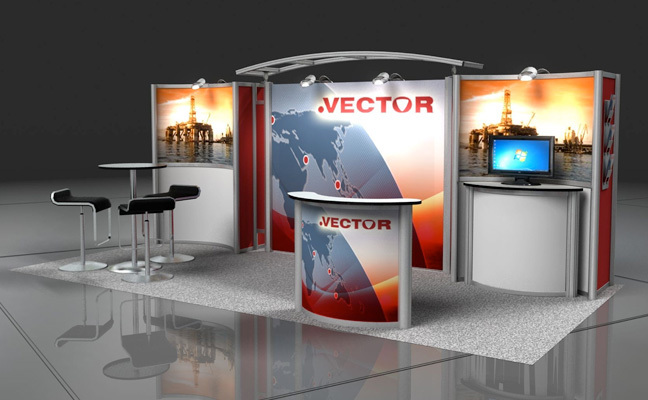 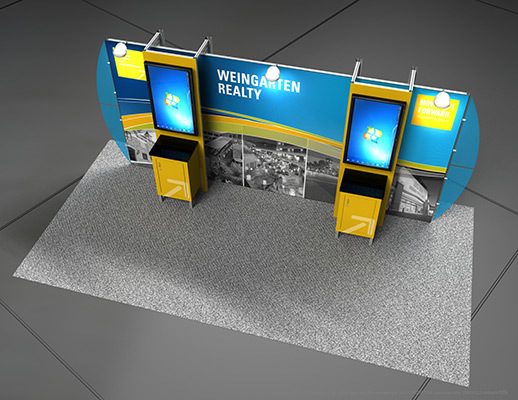 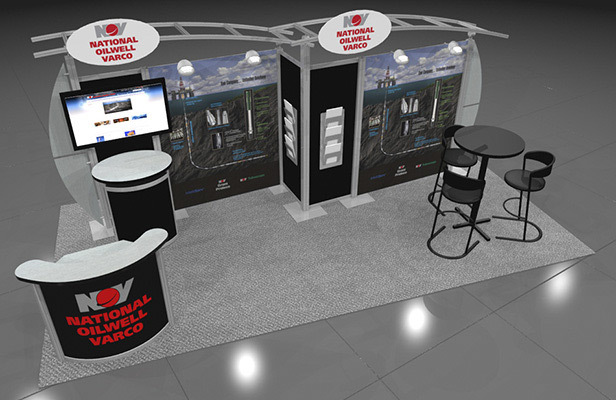 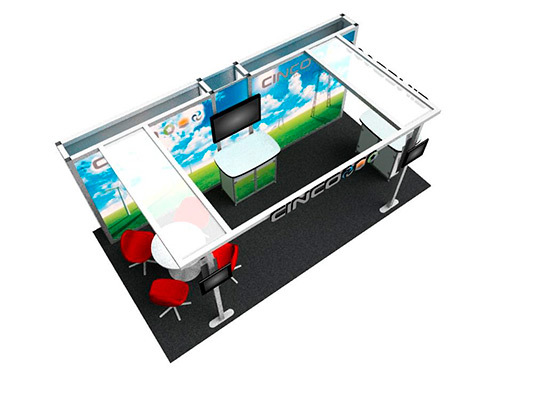 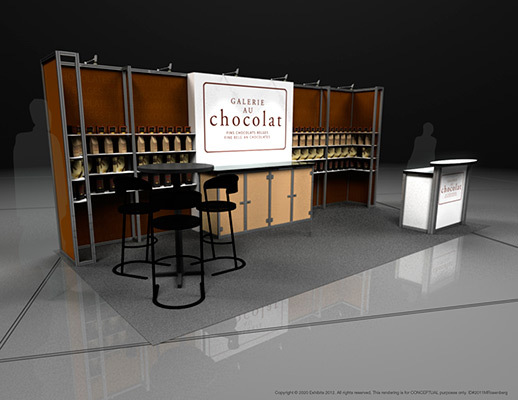 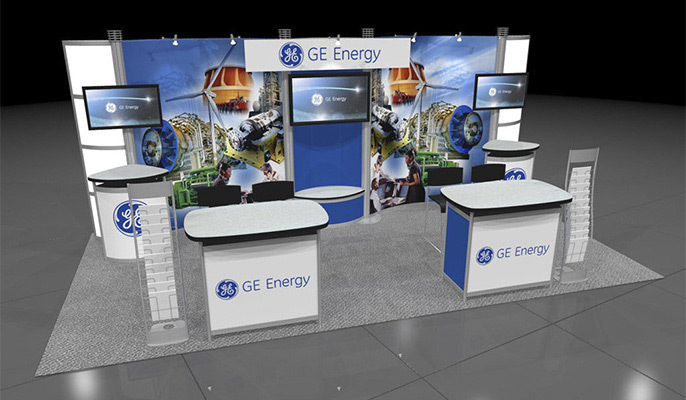 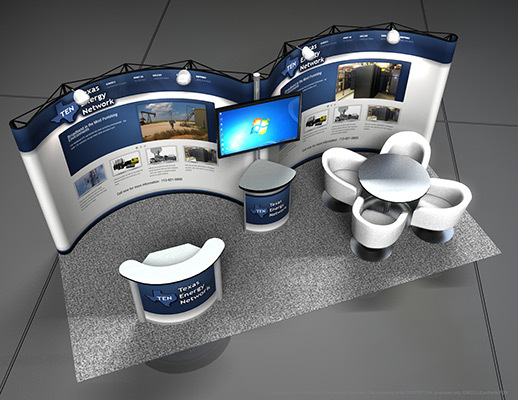 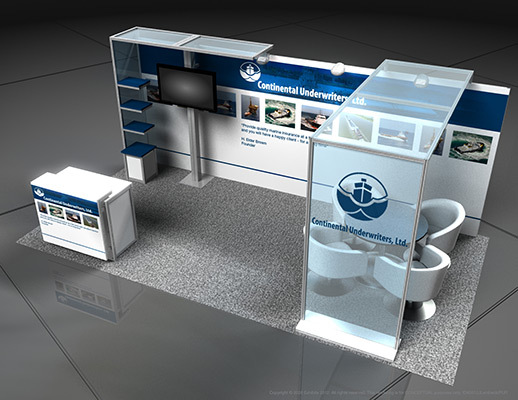 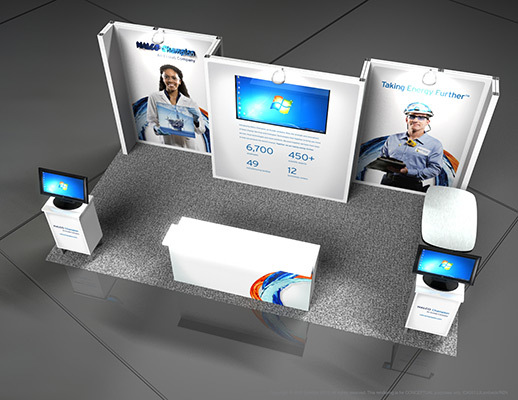 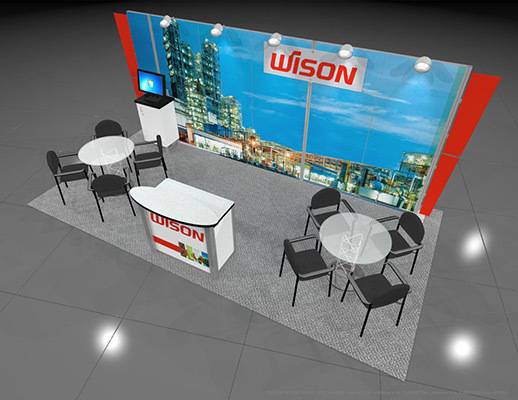 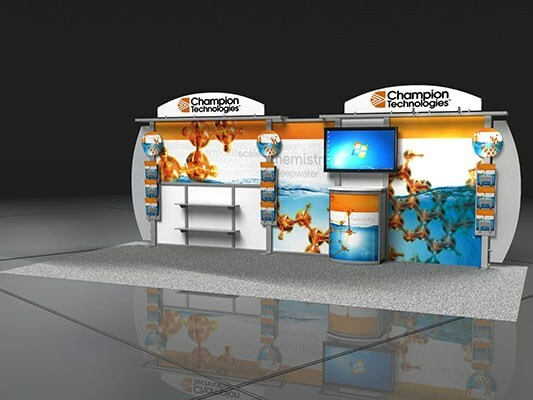 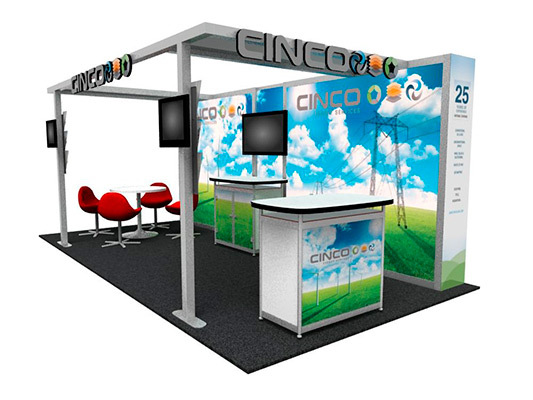 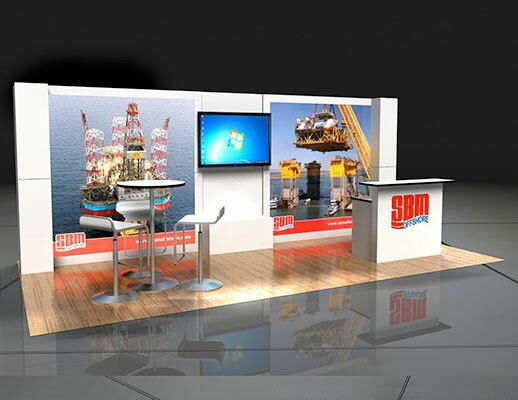 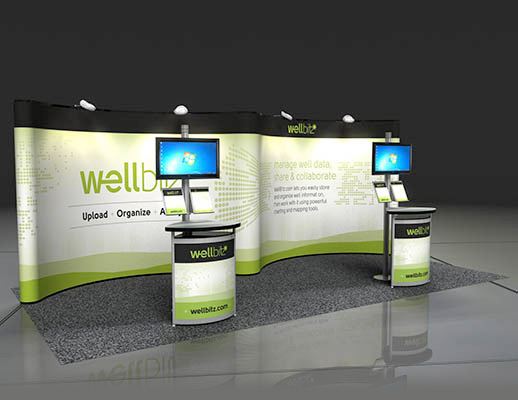 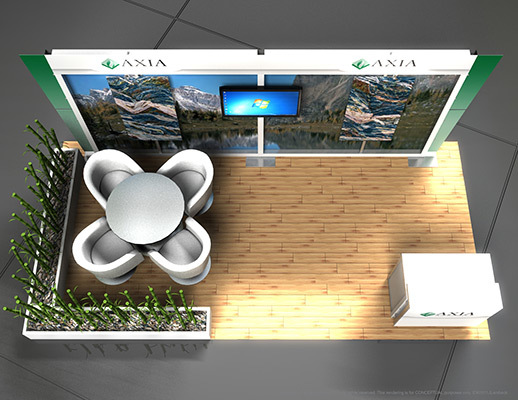 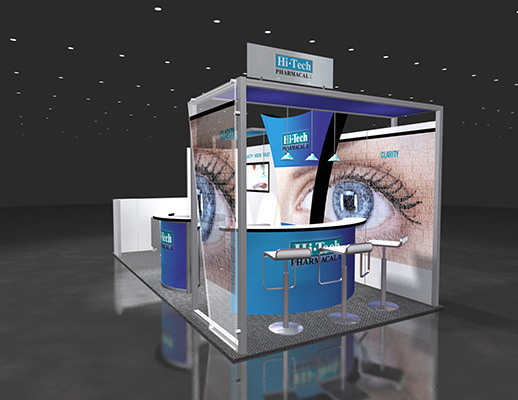 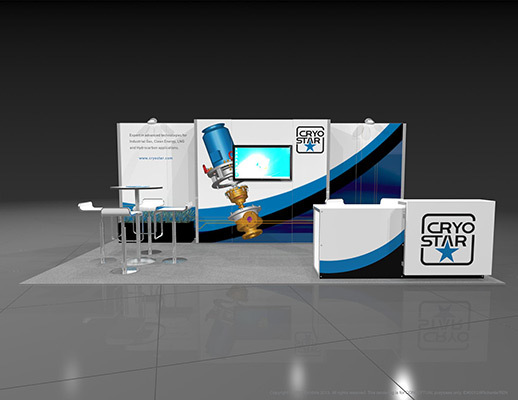 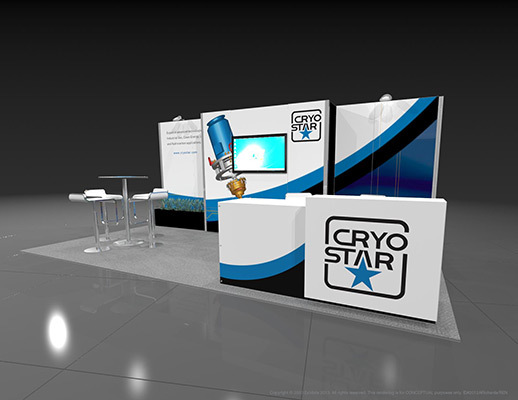 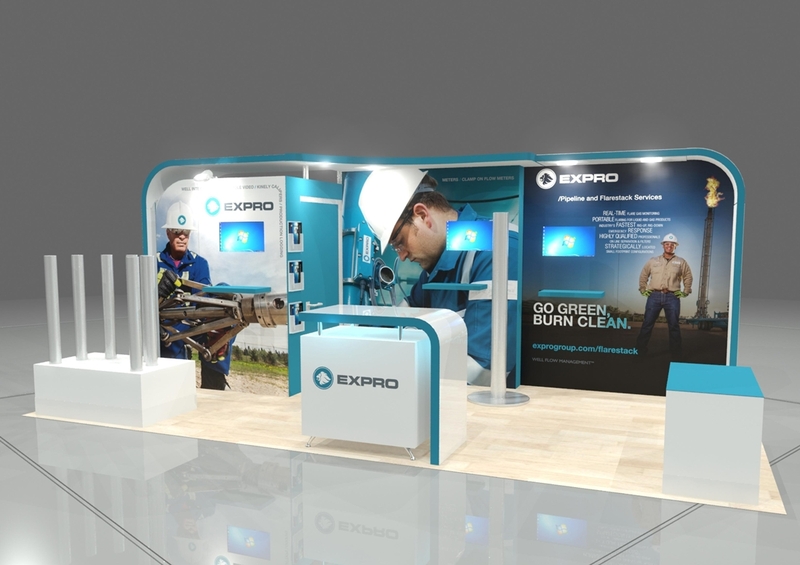 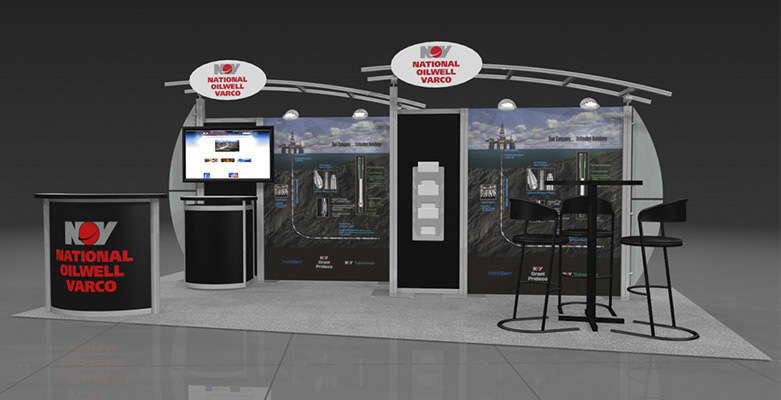 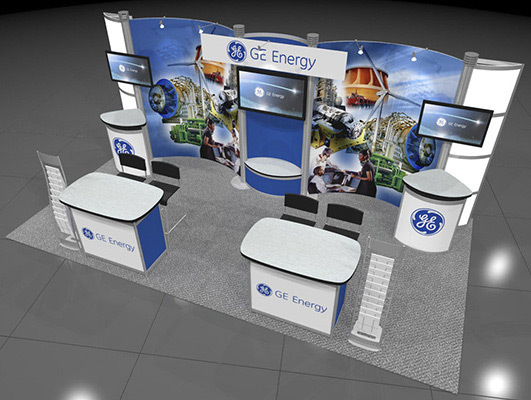 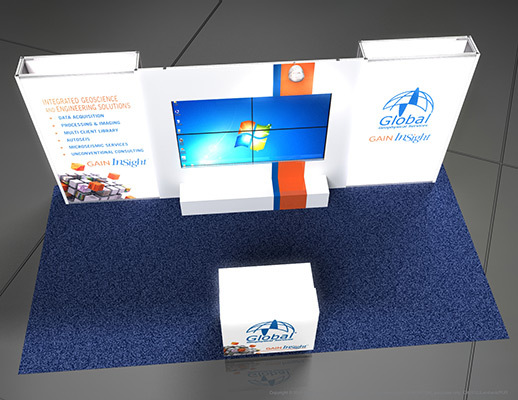 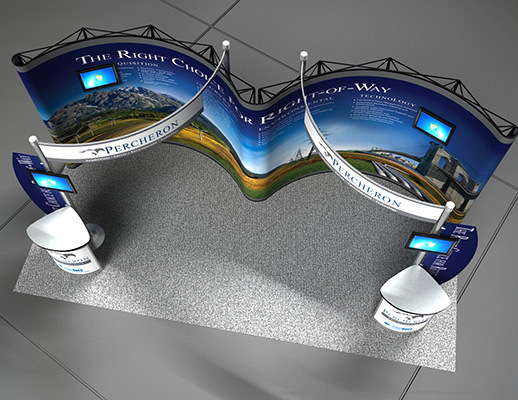 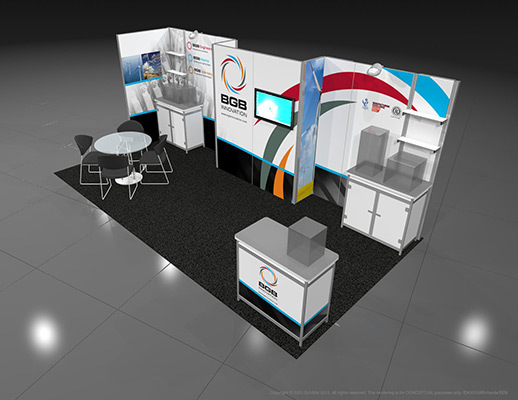 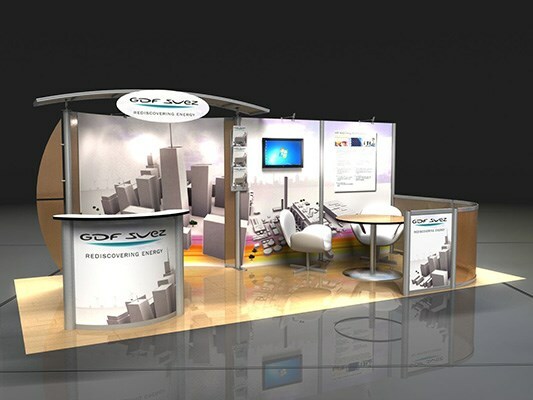 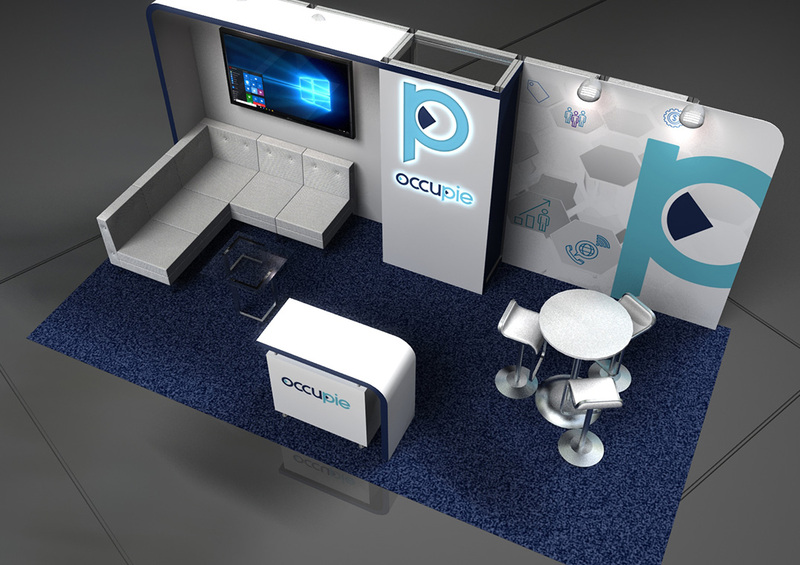 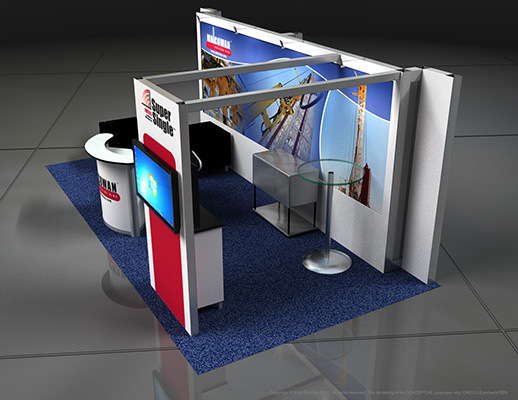 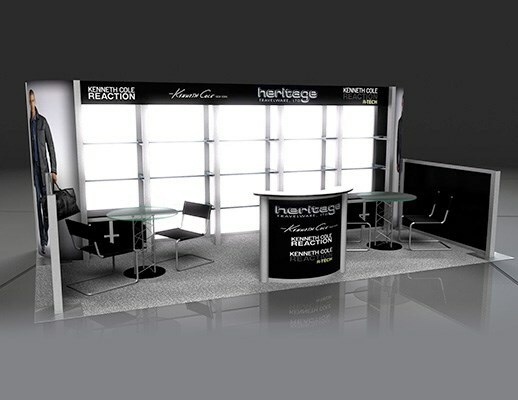 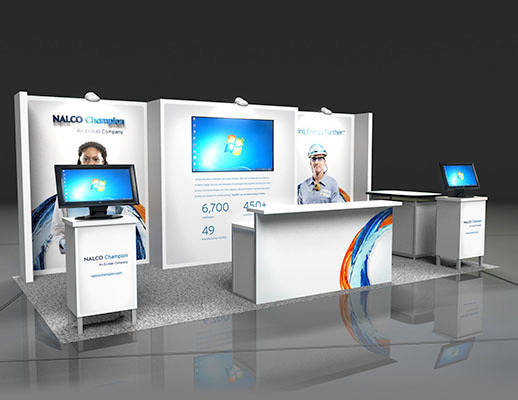 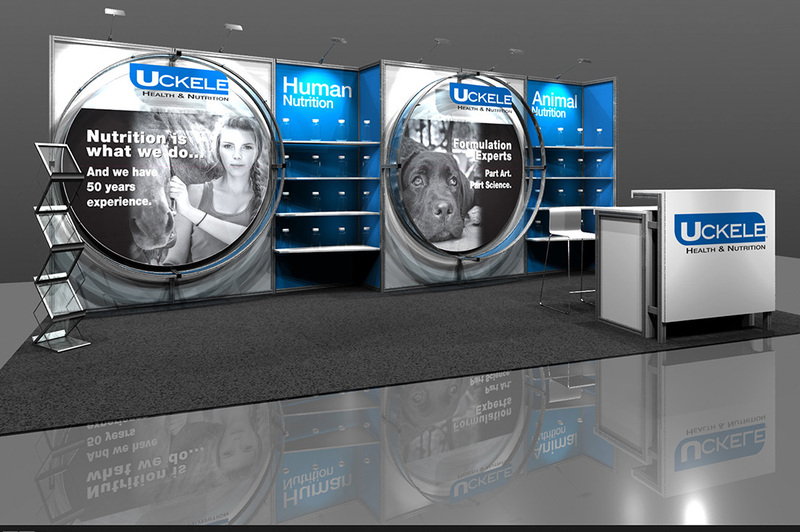 Very prominent logos are placed nicely and are easy to find for visitors searching for this company's booth. 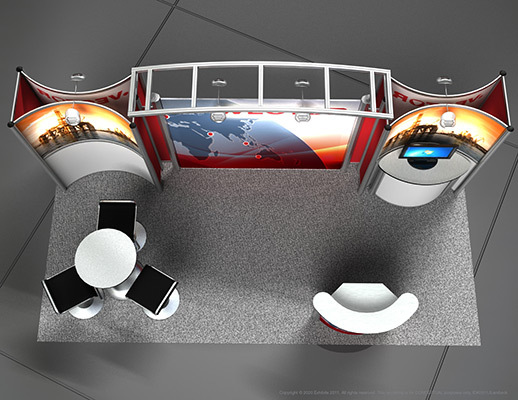 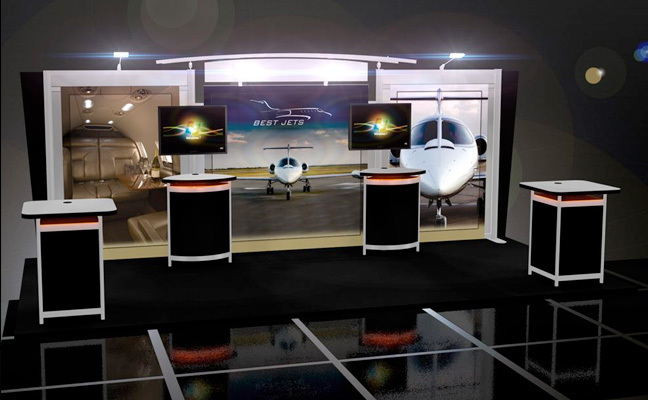 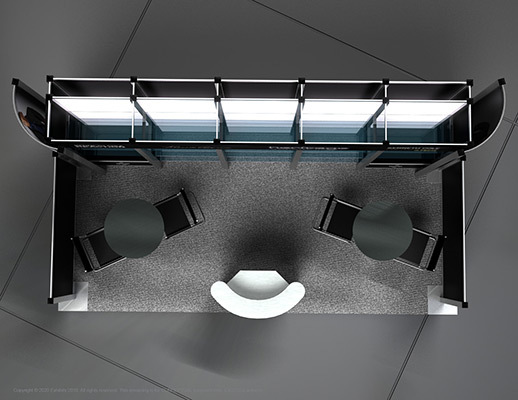 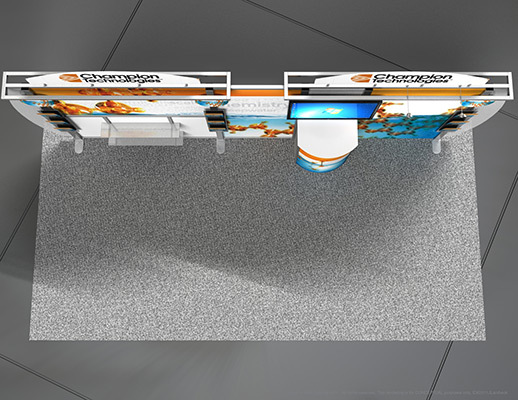 Features include: simple graphic backwall, overhead lighting, prominent logos, reception desk, storage cabinets, video wall, carpeted inlay, informational graphics, strong color scheme and simple design.